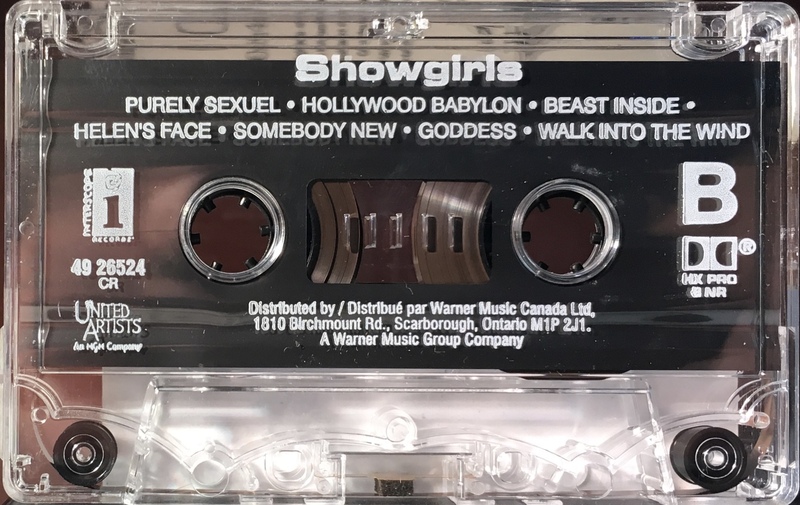 Showgirls: Canada; Interscope, 49 26524; 1995. All picture panel concertina cover on glossy paper. Track list on rear panel with song and movie information printed on the inside panels. Dolby HX Pro on spine and cassette shell. This is the first version of ‘I’m Afraid Of Americans’ appearing two years before the version on ‘Earthling’. 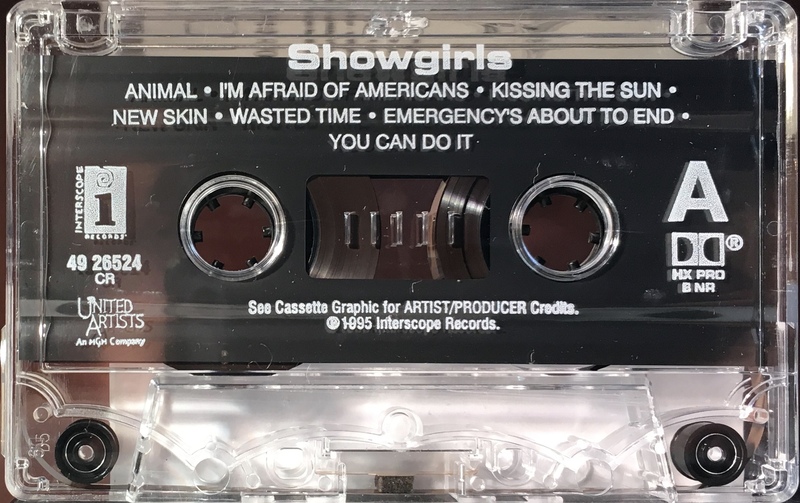 David Bowie performs on one track: ‘I’m Afraid Of Americans (Showgirls version) (5:12)’ on Side 1. White ink printed directly onto clear shell with plain slip sheet. ‘Interscope’ and ‘United Artists’ logos on shell.